The son of a Vanderbilt heiress, John Hammond listened to jazz records with his parents' servants, went to Harlem as a teenager, and became a regular in clubs where very few white faces ever appeared. Taking a little family money, Hammond went across racial lines in pre-World War II America and came back with recordings of some of the greatest jazz musicians in history. By age twenty-two, he had convinced Benny Goodman to integrate his band and made his first big discovery: Billie Holiday. Later, as jazz gave way to pop and rock, Hammond championed Bob Dylan, Aretha Franklin, Bruce Springsteen, and Stevie Ray Vaughan in his life's extraordinary second act. 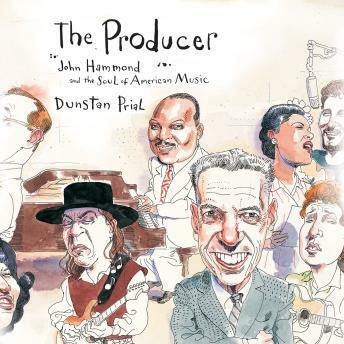 In Dunstan Prial's hands, Hammond's biography is the story of American popular music since the 1930s, a tale of a man at the center of things, with his ears wide open.